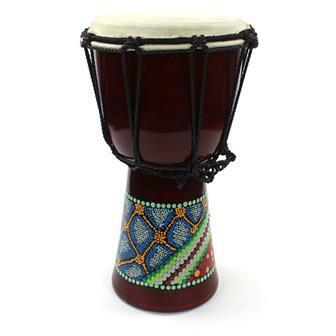 We sell a full complement of djembes to suit your needs and budget. 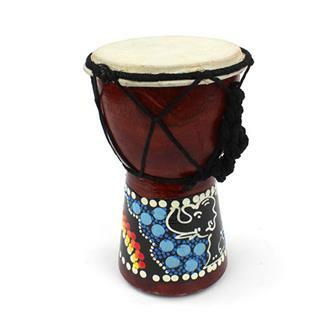 From Bali we sell a range from gift sized mini djembes for the beginner up to full size beasts in plain, painted, carved and rainbow designs. 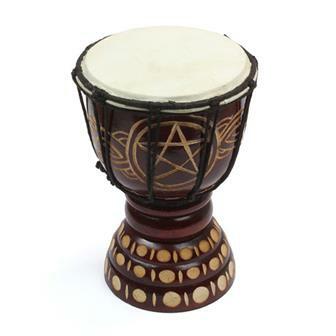 We also stock top quality Ghanaian djembes; drums capable of incredibly rich and sonorous sound. 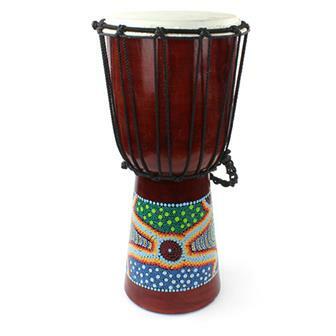 These excellent, top quality djembes are each hand made and painted in Indonesia. 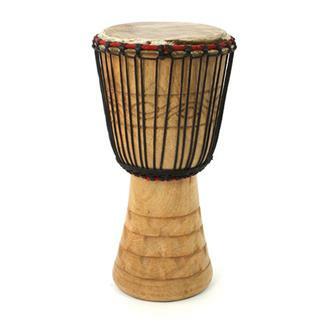 Each one uses a top quality 'Jammer Series' skin and is carefully strung using a twin ring system. 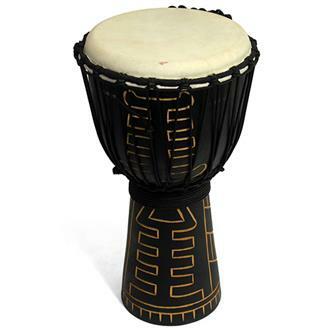 Perfect as a gift for a drummer, each drum comes with a free ikat djembe hat whilst stocks last. 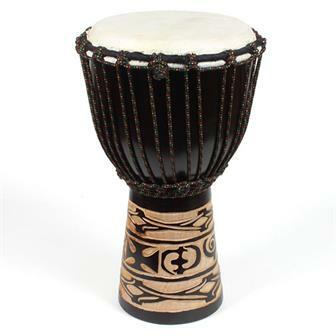 Impressively sized dark stained Djembe in chunky wood with simple but elegant African style carving. 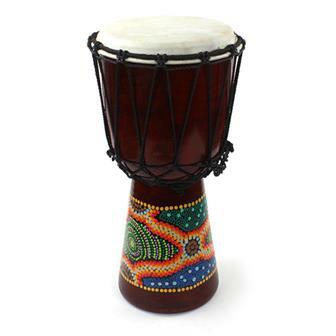 This wonderful drum is perfect for people who want a great drum on a budget. 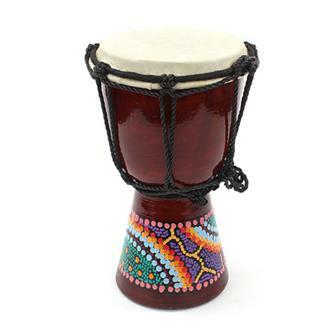 Mid size djembes made from solid, chunky wood with a great sound. 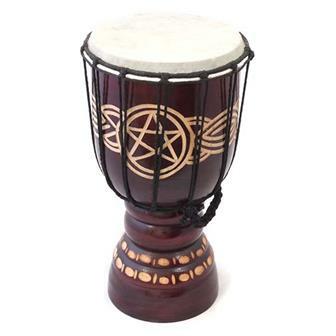 This drum is hand carved making each unique, with a thick goat skin head and tough Nylon stringing. 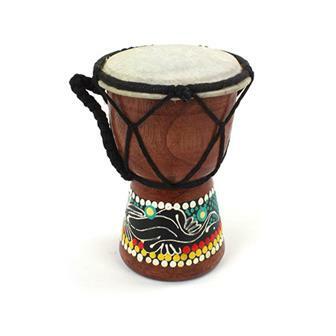 Lightweight protection for your djembe head, this padded hat will protect your djembe drum skin head from minor little bumps whilst being transported. 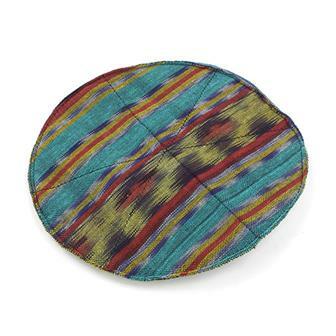 Made from traditional Indonesian woven fabric with thin foam padding and an elasticated hem. 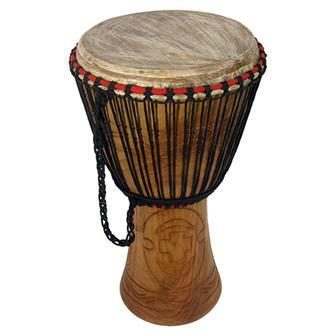 For approx 8" Djembe head. 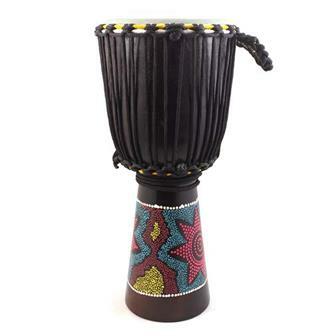 Lightweight protection for your djembe head, this padded hat will protect your djembe drum skin head from minor little bumps whilst being transported. 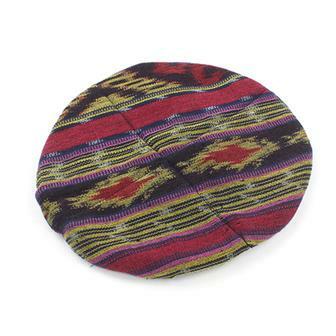 Made from traditional Indonesian woven fabric with thin foam padding and an elasticated hem. 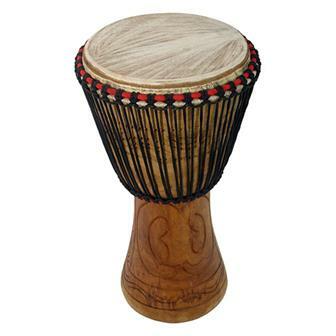 For approx 9" Djembe head. 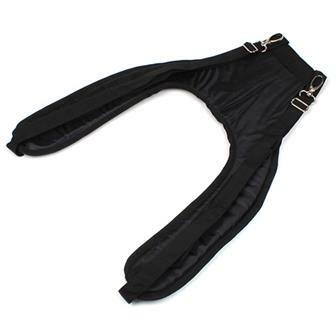 This extremely useful straps allows you to be more mobile whilst playing, ideal for the performing djembe player.